Ticket inspectors usually work while standing up, travelling on public transport. Communication with passengers is under time pressure and might, at any time, turn into a conflict situation. In many situations, the work tool itself – a heavy handheld – must be held and operated with only one hand. 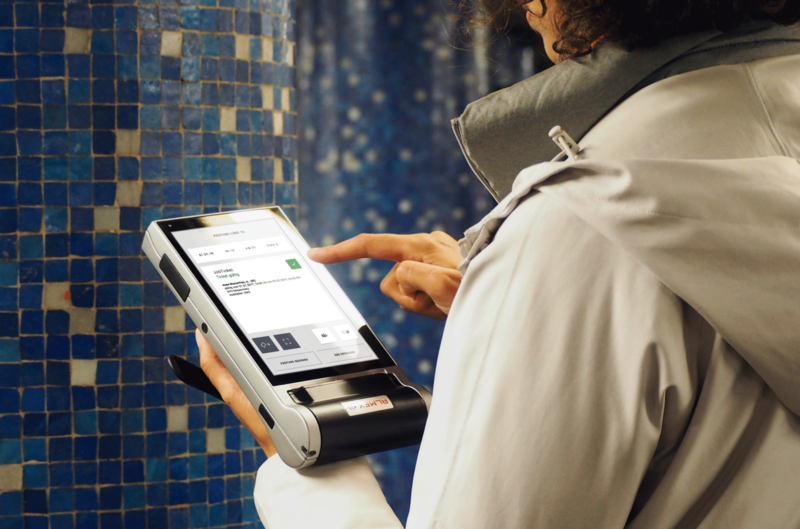 The user interface must be operable in various lighting conditions such as sunlight, darkness, artificial light or rain, as well as always be immediately ready to use. During the conception of the app, the main objective was to develop an intelligent application that supports inspectors in their daily work. The user interface was conceived and designed under strict consideration of ergonomic principles and in conjunction with the handheld. The entire workflow was tested iteratively with the device. 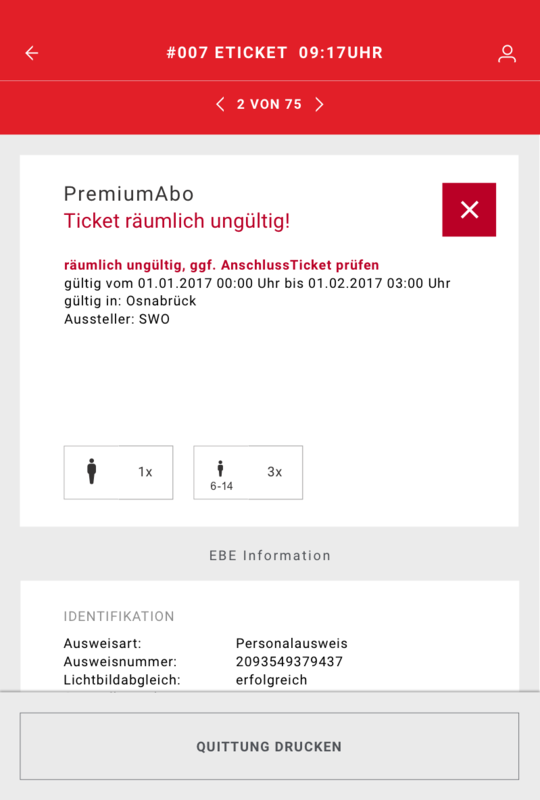 Various tickets – self-printed, digital and normal vending machine tickets – were issued with one hand. The design was optimised for different weather and lighting conditions, ensuring consistently good working conditions day or night, in artificial light and in rain. 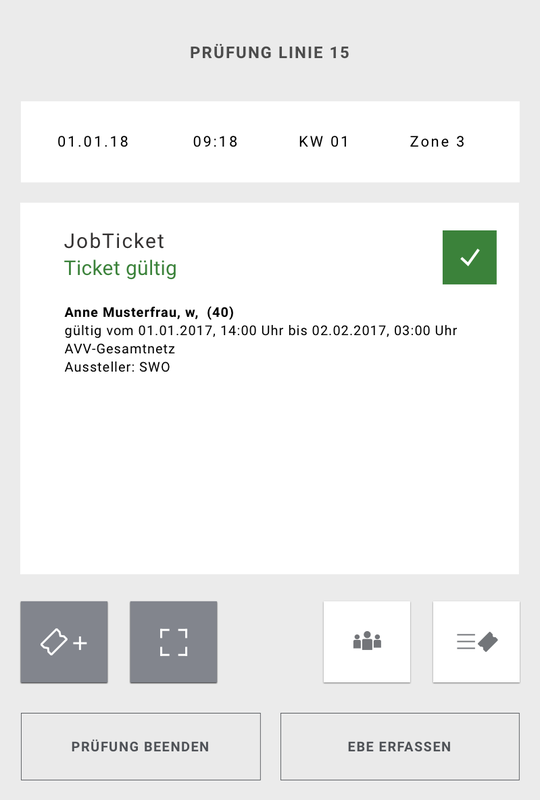 The highQ EBE App is a white label application that noticeably improves the special working situation of ticket inspectors. The concept and visual design support a practical and healthy work process for the inspector. 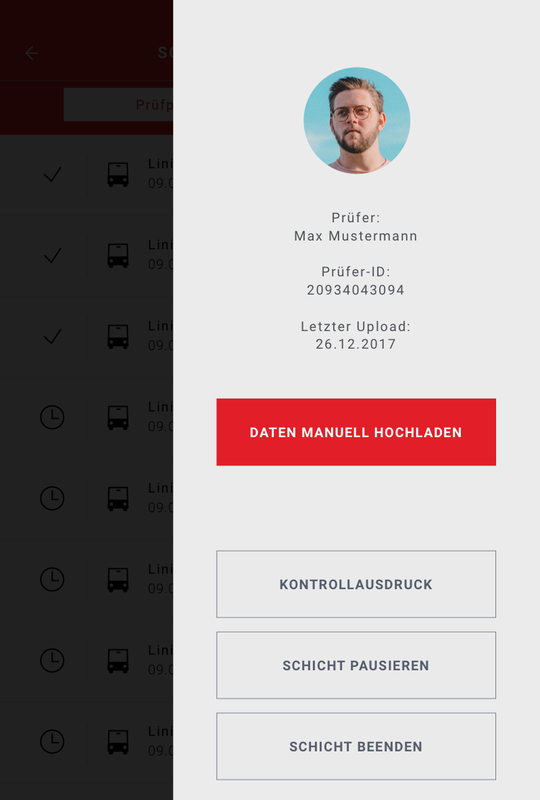 In addition, the workflow supports clear and smooth communication between passenger and controller, thus reducing stress and conflicts.